Indian arts and crafts are unique in the world. The art and crafts of the country depict our ancient culture and traditions. The art works of the country is many years old and is a clear reflection of the lifestyle of the ancient kings and life. You can find varieties of temples, rock statues, sculpted towers, ancient forts, elegant mosques in different parts of the country. Likewise, each state of the country has its own distinct art and craft, like finest paintings, weaving, handicrafts, pottery and what not. You will be amazed when you take a look at the embellishing works of our country and will be left asking for more. Let us take a look at the 4 beautiful, but lesser known art works of India. This art form is found in the Jagannath Temple, Puri and is a very attractive art form. The art is made using a unique blend of chalk and tamarind seed gum. The subject of these paintings is based on the life of Lord Krishna and is purely splendid. 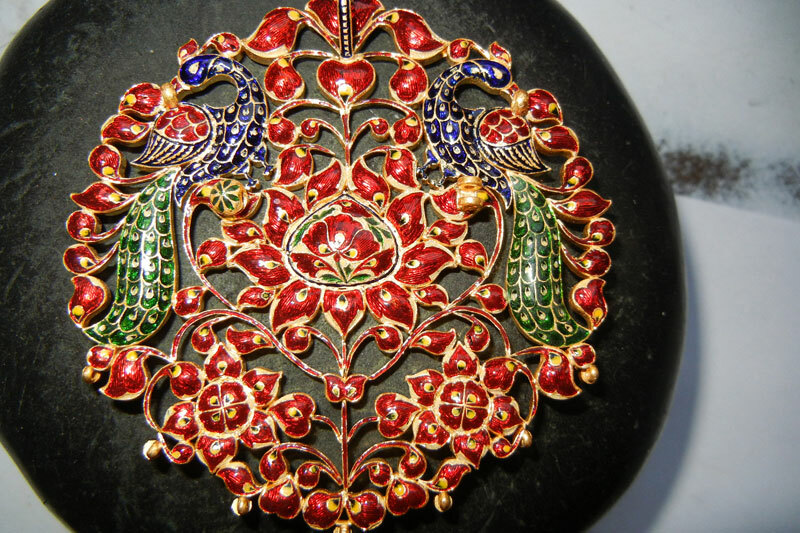 Meenakari is another very prevalent art form which involves decorating the metal surfaces with apt and bright hues so as to upgrade the outline. This art form was equally recognized by the Hindus as well as Mughals. Terracotta is all about Earthernware. The mud based items that are unglazed is molded into waste water, water pipes, vessels and bricks. The material has an orange tannish appearance. Pottery is another very critical art form of India and the various items made are used for different purposes such as ornaments, vases, drinking water pots and others. Apart from these 4 there are many other art forms of India which are yet to be explored and have given a new identity to the arts of India. There are many things and crafts of India that we Indian also do not know. India is a land of varied culture and various crafts. Know India better and you will realize how beautiful our country is!